There is an explosion of new information and research about young children’s brain development and great excitement about the positive impact music can have in the early years of children’s lives. Many articles have identified the benefits of listening and participating in musical activities during this “window of opportunity.” Experts have concluded that music can enhance the intellectual development of children, stimulate brain function, enhance the development of skills in language and math, and nurture creative thinking. A renewed interest in music supports what early childhood educators have long believed – music should be an integral part of young children’s lives. Music is to be valued, not just because of the potential intellectual benefits, but for the connections it provides for children and adults. Music brings us together, builds relationships, and helps us feel part of a group, community, or country. 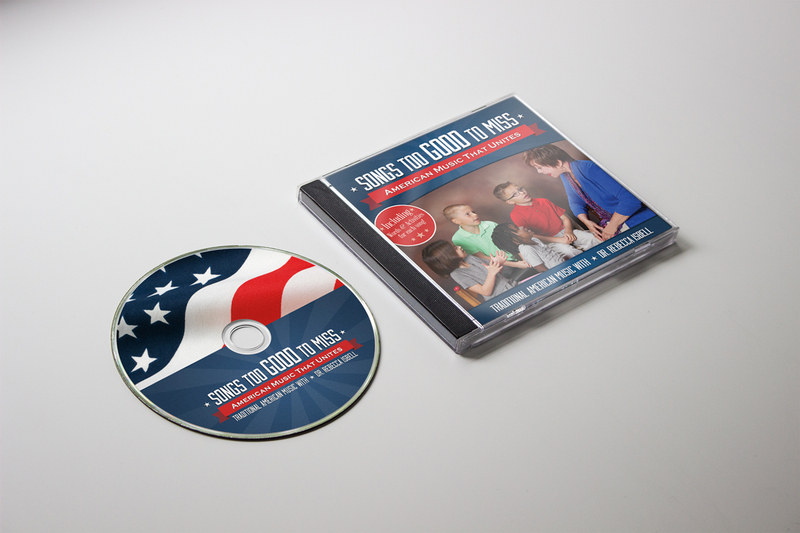 This CD is focused on songs and instruments that are a part of our American heritage. This music binds us to our family, school, community, and connects us to our roots of American traditional music. Some of these songs were sung with grandparents and elders when we were growing up. Others may be unfamiliar but have strong connections to American culture. Many young children have never heard or sung these wonderful traditional songs that are so important to our American heritage. Use this CD and its traditional songs to reconnect to your children, families, and history. Music invites participation in the singing, hand motions, playing of instruments, and moving our body to the rhythm. This active involvement matches the way young children learn and grow. Listen, sing, make silly sounds, tap your foot, or play a tambourine to capture the power of these American songs. Over the history of America, this music has accompanied many different activities: dancing, working, and traveling. Throughout the years, song melodies have remained the same, while the lyrics have been changed to fit the historical events and people of the times. Share this American music with your children and capture the powerful impact of their involvement. Recognize that music is to be treasured, passed on, and valued for the positive connections it can make to us, our children, their families, and our American heritage!